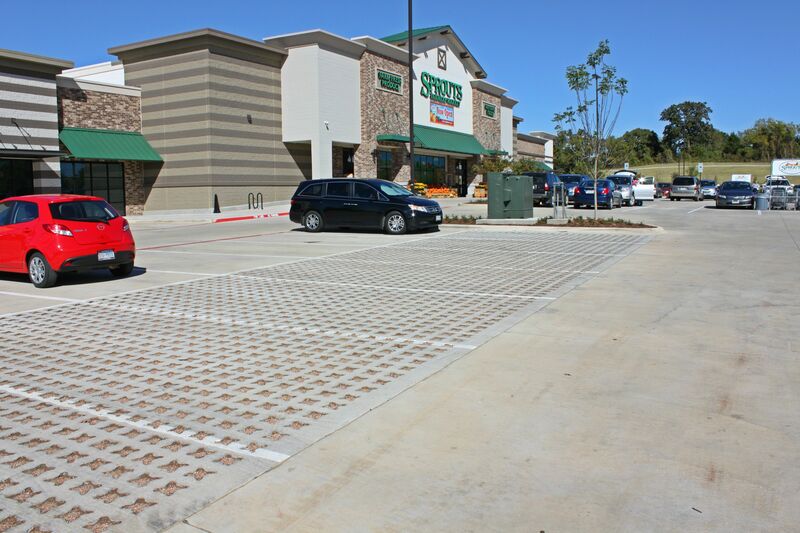 The Sprouts Farmers Market Store incorporated a pervious concrete void structured Grasscrete parking lot into their build and design. 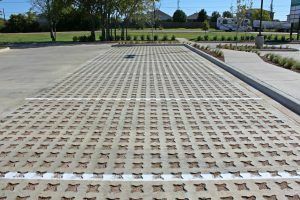 The company needed a pervious pavement system that could control storm water drainage, stand up to emergency vehicles as well as offer a standard parking lot with delineated parking stalls while scoring LEED silver status. 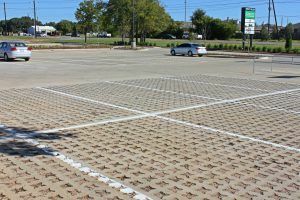 Working with the engineer, Winklemann & Associates, Inc., the parking lot was designed and installation of 14,775 square feet began with the layout of the Molded Pulp Formers to fit the space and requirements. The sub-base was prepped prior to the formers being laid. Reinforcing rebar was set and concrete poured next to provide the stability and strength needed. Former tops were then removed and voids filled with stone. The Grasscrete Stone Filled System was ideal for Sprouts. 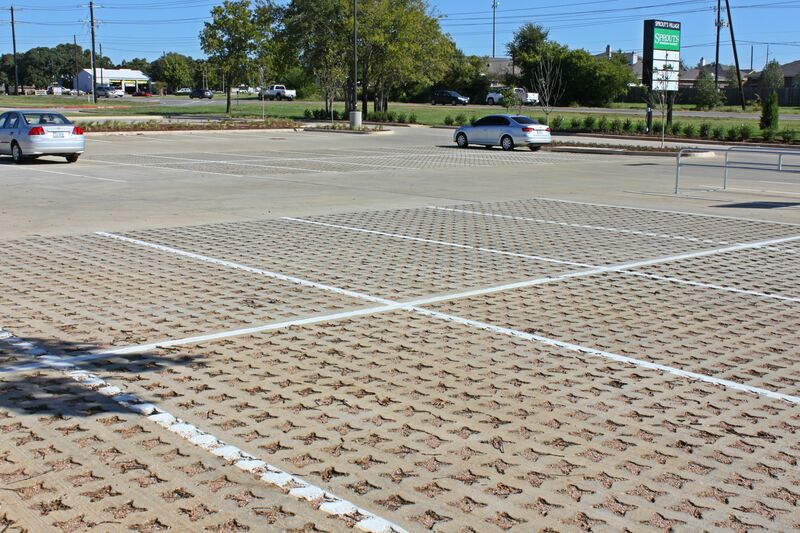 The Stone filled system is perfect for sustained traffic areas and can be filled with no-fines stone for maximum percolation rates while providing a low maintenance option that is both functional and environmentally friendly. 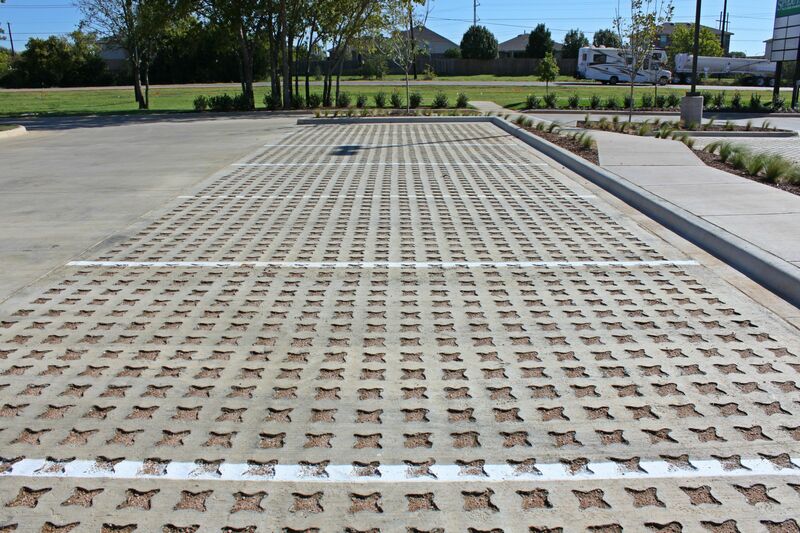 Stone filled systems are capable of draining at rates of up to 480 inches per hour with 100% retention of water possible with correct design.